We can provide advice, guiding and crew for photographers, both amateur and in the TV and Filming industry. 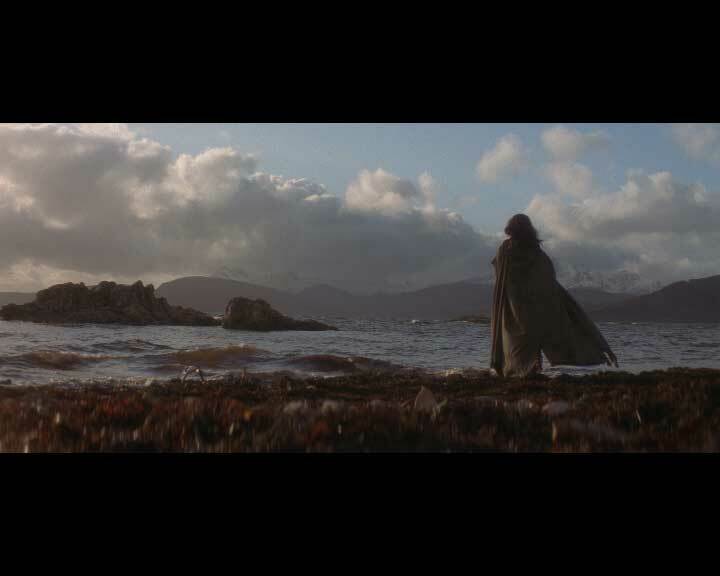 The unique quality of light and scenery on Skye makes it a visual Mecca for the arts community, both amateur and professional. Mike Lates spent nine months working with the celebrated mountain photographer Gordon Stainforth. 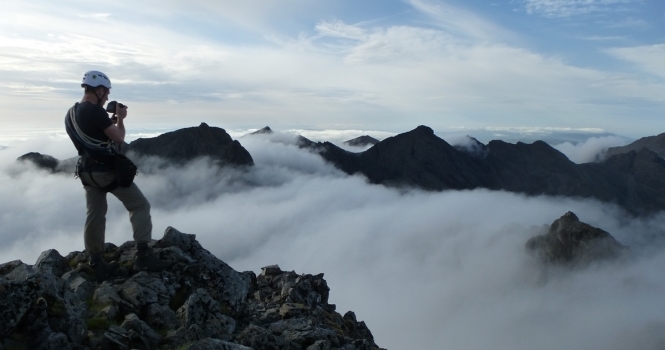 His book, The Cuillin is the best-selling photographical result. It is widely regarded as the authorative text on both the historical and modern climbing in the best mountains in the British Isles. Guiding and advice on lighting, timings and positions for stunning photography results are available at Skye Guides. Tents, sleping bags, props and models can all be provided; just ask! For directors and producers with an eye for more ambitious film projects location advice, sourcing of props and extras and location management is available. 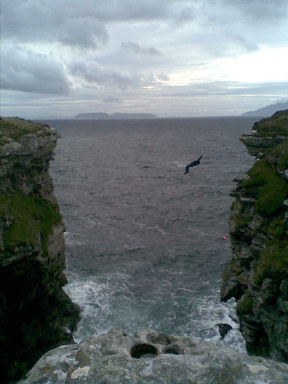 Skye Guides Limited employs professional mountain guides and/or IRATA-qualified rope access technicians in all work at height locations to cover Health and Safety regulations. Risk assessments are provided for all contracts. Researchers please note that location advice will only be discussed once a contract is agreed. Safety and access work to position & protect a piper. Eilean Donan Castle. Casting, location advice, guiding and portering. 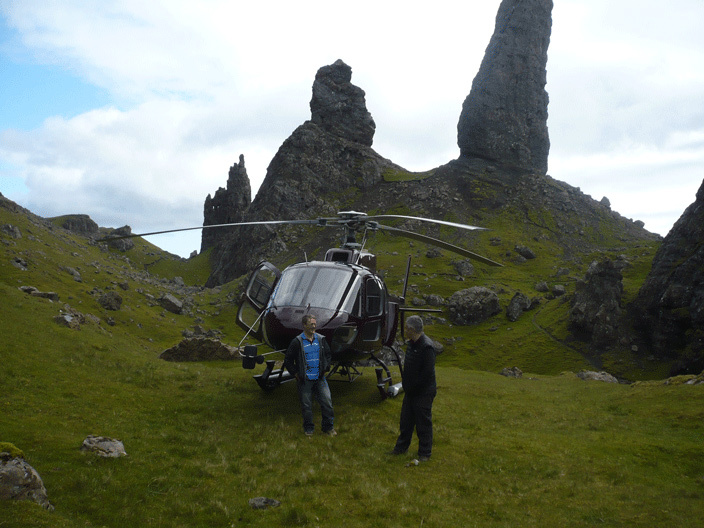 Filming on & around the Inaccessible Pinnacle at 3000 feet. Crew safety, stunts, & prop provision.Torrin Quarry used for close-up scenes. Roped access for crew, actors and stunt doubles. Filming on & around the Inaccessible Pinnacle at 3000 feet. Crew safety, stunts, & prop provision. Interview, guiding and location advice. Action shots & interview about guiding. Location and personnel advice for rest of documentary. Guiding, modelling and location advice. Still shots for clothing adverts. Technical safety support and stunt doubling at Eilean Donan Castle. Children’s period drama. Location advice and prop provision for FRONTERA still shots. Stills and movie for new Nissan 4* 4 vehicle. Source motorboat and provide location advice. Main assistant in production of this classic modern “Bible” of the Cuillin of Skye.